Green beauty is living its golden age. Thanks to the consumer habits of the Millennial generation, brands are realizing that there is high demand for clean, natural and cruelty-free formulations that also work. I recently attended a sneak peek event of Cosmoprof North America 2017, one of the most important professional beauty events worldwide. I was able to meet and greet a few selected green and eco-conscious brands that will exhibit their products in the Discover Green Leaf category. 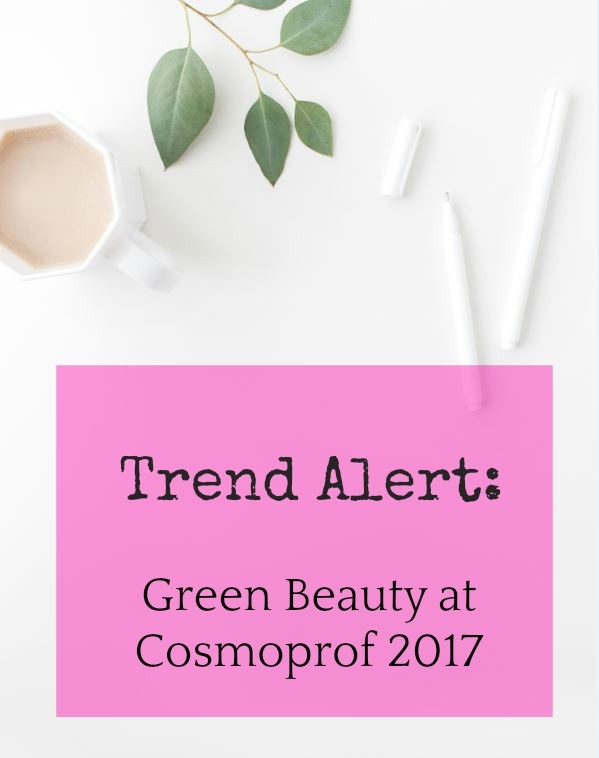 Cosmoprof 2017, which will take place in Las Vegas between July 9th-11th, is THE beauty event of the year for editors, influencers, and professionals, so I’m sure that you’ll hear a lot about these brands in the upcoming months. Do you want to know which are the next big players in the natural beauty arena? Keep reading! balancedguru was one of my most delightful discoveries. Their innovative formulations for all types of hair are simply a dream come true for a curly-haired gal like myself. Plus, the USDA Organic seal guarantees that at least 95% of the ingredients of each formula is organic, which buys me a lot of peace of mind. Their Organic Brilliant Silicone-Free Hair Oil is a fresh and wholesome alternative to chemical-laden products, and it works great to give an extra bit of shine and resilience to hair during the summer. I have also found that it works very well to tame stray hair and flyaways, but it’s important to use the correct amount of product, which is minimal. Another great invention made by the organic masterminds at balancedguru is their scalp treatment line. Organic Nourished is great to soothe and strengthen your hair naturally by using the right combination of essential oils and natural extracts. I have been pleasantly surprised to discover that, although this formula contains water, they have found an extremely elegant solution to preserve it with plant-based alcohol to avoid harsh preservatives. Last, but not least, I was able to test and whiff their organic aromatherapy spray line. A great alternative as a natural summer eau de toilette, each blend is designed to create or enhance an emotion thanks to the use of essential oils. I personally loved the fresh and summery notes of their sensitive optimist blend, as they remind me of the bright sunny days of my childhood summers. 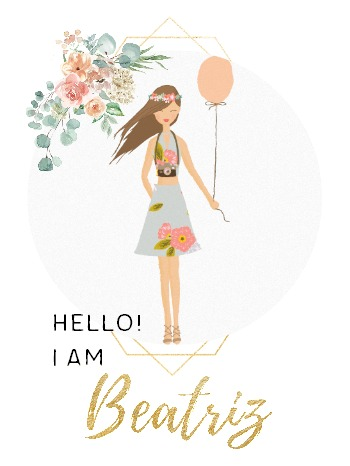 Their products have definitively conquered my green heart! Although I have been using some products made by Intelligent Nutrients for a few months (their hand sanitizer is one of the best natural alternatives in the market to Purell), I didn’t know they had a whole haircare line. Recently reformulated, it includes natural and mild synthetic extracts to achieve a glorious mane without the harsh chemicals found in most commercial shampoos. The guys at Intelligent Nutrients gave me a sample of their Pure Luxe Regimen for dry hair, and what a difference it does make to my very long and curly mane! After just two uses, I can say that my curls are more defined and shiny, and overall I’m seeing less frizz and stray hairs even with the hot and humid weather we’ve had for the past few days. Plus, as the formula is SLS free I do not end my shower with skin hives (true story) nor an itchy back. My body really reacts against harsh chemical compounds, and this is a great alternative for those of us who want to get a nice hair day without an allergic reaction. Plus, the baobab extract makes this line an excellent choice for the summer, as it naturally protects against UV rays. Smart! If you are looking for traditional beauty remedies, you should look into Nairian‘s impressive beauty line. Their products are all-natural and follow traditional Armenian beauty recipes found in old texts, bringing the ancient wisdom to life. I personally find it very comforting that a brand is taking the time to launch a carefully crafted line following ancient and simple beauty remedies. In a world that spins sometimes too fast for my taste, there is something nearly sacred in rediscovering what previous generations did and honor their traditions. Aside from being a slow-living brand, their formulas are quite impressive. I was able to test their Night Serum, which is based on the benefits of Armenian apricots, and I was taken aback. A 100% natural and waterless formula, it nourishes and rejuvenates the skin after the first application. As a night face mask it works wonders to revive dull skin (duh, thank you, winter! ), and I have also used it as a makeup primer with great results. I have started seeing this brand virtually everywhere, and with good reason: Mullein & Sparrow is the perfect success story of a natural cosmetics brand made in the USA. Their exquisite apothecary-inspired packaging paired up with great formulas doesn’t leave anyone indifferent. They have something for everybody’s taste. Although Mullein & Sparrow are presenting some novelties at Cosmoprof, I was able to test their time-trusted Lemongrass body oil with great results. I use a few drops on my dry body brush every morning, and it leaves my skin glowing and deeply hydrated after the natural exfoliation. Plus, the scent is so summery that it puts me in a good mood, no matter how long my day has been. It is also a perfect companion for a long, decadent hot bath to soak your worries away. Trust me on this one! When it comes to nail polishes, it is impossible to find a 100% organic formula. For a nail polish to stay, it needs to contain some chemical binding agents, or otherwise it would stain nails permanently or wash away with water. However, not all binding agents are created equal. That is why 7-free nail polishes are a great option for those who have chemical sensitivities or want to limit their exposure to harsh ingredients. Made in the USA, LVX polishes are free of the most offending nasties, namely formaldehyde, formaldehyde resin, DBP, toluene, camphor, xylene and parabens. LVX’s formulas are also vegan, TPHP free and gluten free. Their range of colors is absolutely breathtaking, and I was surprised to see that they pigmented very well. I had my nails done last week with one of their polishes and my mani still looks good! Plus, they have some very unique nontoxic and odorless nail color removers that will blow your mind. I, for one, am saying buh-bye to stinky nail products! If you love wearing eyelashes to give an extra oomph to your beautiful gaze, you are not alone. They really have revolutioned the beauty industry for a reason! However, synthetic lashes can be wasteful if you throw them away after a couple of uses, and mink lashes are not compatible with a vegan mindset. That is why I really liked the idea behind Battington. These upscale silk eyelashes are lightweight, hold their curl extremely well, look extremely natural, and last up to 25 applications. Available in six different styles, they range from a single row to an outrageous multi-row, super voluminous number for a sultry gaze. 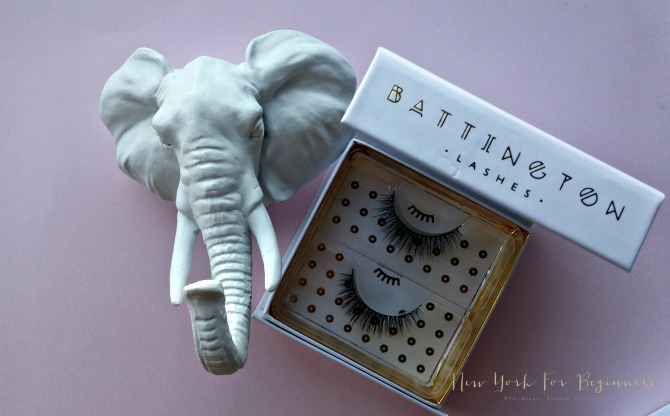 I am personally a Hepburn type of lash addict, and I can’t wait for them to come up with their own lash glue as most of those commercially available give me an allergic reaction. These brands are just a teeny tiny selection of what will happen in Las Vegas. Cosmoprof North America (CPNA) will host over 33,000 attendees and 1,100 exhibitors from nearly 40 countries at the Mandalay Bay Convention Center in Las Vegas, NV on July 9th through the 11th. Catering to retailers, distributors, beauty brands, suppliers, and the beauty press, the show will unveil the latest trends in personal care and professional beauty. As novelties, Cosmoprof 2017 will have a unique collaboration with QVC, in which the most innovative products will be aired in the channel in the upcoming months. That is huge for indie brands! Also, Amazon Beauty will scout the event to find the best and the brightest rising stars in the industry. Although what happens in Vegas, stays in Vegas, I for one will keep you guys posted! Plus, stay tuned as I’ll showcase some other brands that I came in contact with in the upcoming days. Disclosure level 0: The author received NO compensation to write this post. The author received a sample of some products to test with no strings attached. This didn’t influence the decision to feature the event, nor the personal opinions expressed here about the brands. Links are provided for information only. 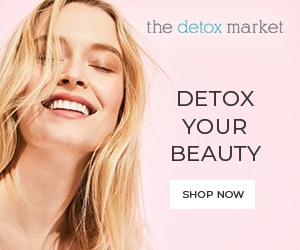 Is Lux a real natural brand? You will draw more loyal readers to your site and keep your readers coming back because you are sharing the best with them. They would try to make your site famous through social networking sites like my space,Facebook, Twitter, Digo, Digg, Delicious, etc as a part of their SEO services London. This means that all of the content that your users can see, including buttons,menus and clickable links will be index-able. Can I simply say what a comfort to uncover somebody that genuinely knows what they're talking about online.You definitely know how to bring an issue to light and make it important. A lot more people really need to read this and understand this side of your story.I can't believe you are not more popular since you definitely have the gift. It's going to be finish of mine day, except before end I am reading this great piece of writing to increase my knowledge. Good post. I learn something totally new and challenging on sites I stumbleupon on a daily basis. It's always interesting to read content from other writers and practice something from their sites.